An essential edit of the text known as the Sefer Yetzirah or The Book of Formation. From that somewhat nebulous point of origin its authority was guaranteed by its influence upon the various mystic schools of Alexandrine Egypt; Al-Khemic, Hermetic, Neo-Platonic/Pythagorean etc. [100 bce – 500 ce] through the time of the occult renaissance in Italy where its tenets underscored the works of Marsilio Ficinio [1433-99] and Pico della Mirandola [1463-94] through Giordano Bruno [1548-1600] upon which most ‘modern’ occultism is based. In particular these tenets included the notion of the ‘magical alphabet’ and the ‘doctrine of correspondence’ upon which their sympathetic magics were based. The Book also includes a ritual which must be considered the original template for the “pentagram ritual” which has been adapted by so many various occult schools. 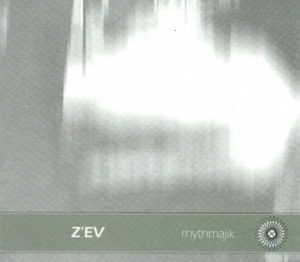 Beginning late in 2000 I began working on a series of translations of The Book for release as a CDplus on John Zorn’s Tzadik label. The finished piece included four textual translations; exoteric, esoteric, metaphorical, allegorical versions – and a fifth ‘symbolic’ version which was rendered through sound.The four textual versions are based on a source text that was first published in London in 1902. It is a ‘Hebrew’ version of an Arabic original written in Tunisia in 955 ce by Donash ibn Tamim. I chose this version because I felt it was informed by the purest strain of its traditions; that is the mysticism shared by both Sufism and what is now known as Qabalha. This would be in contradistinction to versions that are more wholly informed by what can be called a particularly ‘Jewish’ mysticism. Anyway. Deep in the process of this piece I was inspired to render what I consider to be an ‘essential’ version of the text and which would be the basis for the symbolic/sonic version. The following text consists of 4 chapters of 4 verses each. of Genesis.It then goes on to delineate the way in which the 22 letters/numbers are grouped. The second chapter includes the invocational ritual and describes two of the most important ways of manipulating the letters/numbers. These methods, and others, are dealt with intensively throughout Rhythmajik. The third chapter is a series of Al-Khemikal/elemental tantric meditations including both yantric and mantric details. The fourth chapter describes three meditations: the first of which includes a sort of koan. The following two include specific verses; the first is obviously related to ‘the vision of Ezekiel’ and the second to what can be considered as either a heavenly hierarchy or the elemental orders.